Great Chance to win few Surprising Gifts from Snapdeal. 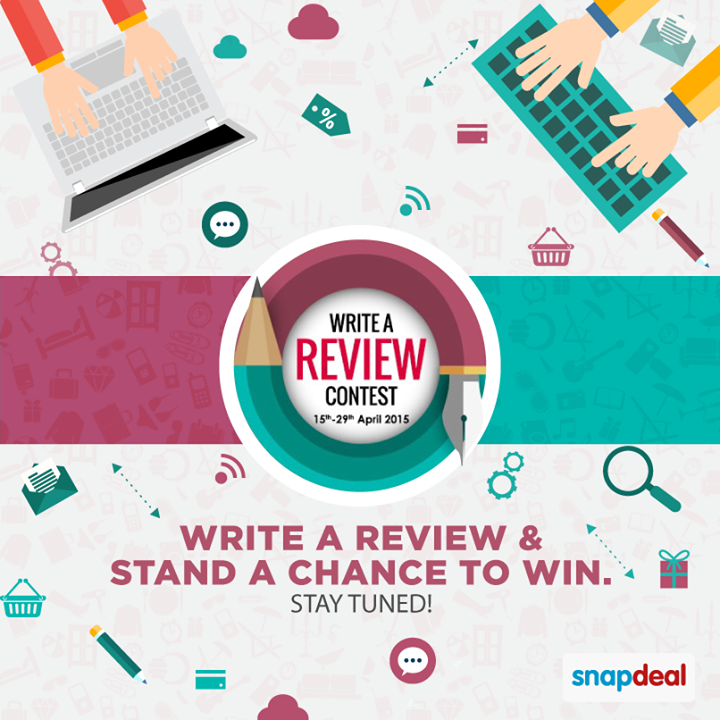 Snapdeal Running a WRITE A REVIEW CONTEST currently....& Some Top reviewers will get some exciting prizes, though Snapdeal doesn't disclose the Terms & Conditions of the Contest or The Prize details yet. Very left side of those orders you'll get a option to Review that Order. Click on that & you can able to see the Review Page. Make a Review Headline First followed by the Review Body. After that post the Review. You'll get a Mail from Snapdeal when your Review goes Live on Snapdeal. >>> If you are a good Reviewer about particular Products then you can try your Luck here.